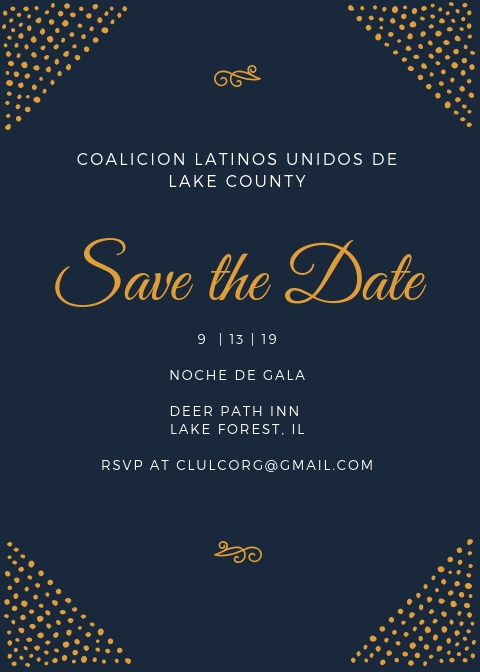 The CLULC, Coalición Latinos Unidos de Lake County (Latino Coalition of Lake County), will hold its biennial Noche De Gala Scholarship Awards Dinner on Friday, September 13, 6:30 pm at the Deer Path Inn, Lake Forest, IL. The CLULC Noche de Gala raises funds to continue the mission of the Coalición, recognize community leaders who are serving our communities and most importantly, to celebrate scholarship recipients. To purchase tickets or for more information contact the Coalición directly at clulcorg@gmail.com.